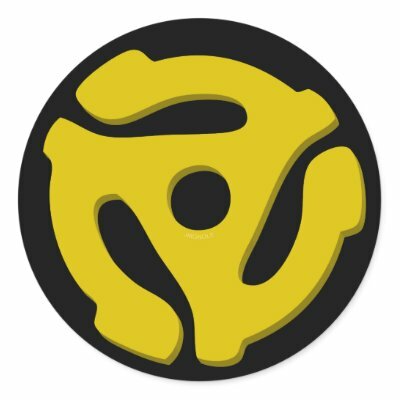 A couple of weeks ago, I mentioned that I am starting a record label (don’t believe me?–scroll down). Well, the test pressings are approved. The book has been designed and is ready to go to the printer. (I will be hand-stitching these books myself because, obviously, I don’t have enough to do–and also because I like the idea of hand-stitching more than boring old stapling.) And, in case you don’t follow @TheIndieHandbk on Twitter or you missed my flurry of tweets about it amid all the virtual celebration on New Year’s Eve, you should also know that we have begun taking pre-orders for the first 7″. But I’ll be honest, I feel a little weird doing a huge promotional push for my own label (Field Guide Records) on my own blog. So, instead, let’s just rehash the primary details here. It’s a 7″ (read-along storybook style) featuring a new song and companion fairy tale by Possimiste, an exciting singer/composer from Estonia (read more about her in this post), with a full-color storybook, also illustrated by Possimiste to coincide with the styling of the video, which I’ve posted below. And I’m really excited about it. I honestly think she’s done an incredible job on this–even better than I’d hoped she would when I first approached her with the idea back in June. And it’s worth noting that the single was mastered by Valgeir Sigurðsson (Björk, Feist, Nico Muhly) at Greenhouse Studios in Reykjavik. Seriously, I never really understood why everyone insisted that these things must be mastered until I received those first preview samples. It’s like magic, you guys. I thought it was perfect when I sent it in. Now, it’s perfecter (and, yes, I have to use that word–it’s the only one that works here). So, here’s the video “Wanderer” by Possimiste, produced by Unholy Flying Rabbit Pictures. I think you’re gonna like it. You can buy the digital version on Bandcamp now. It’s true that I haven’t been around and posting as much as I’d like to in recent months. I’m pretty sure I said in one of the few posts I have managed to put up that I have a good reason for this. And I do. It’s not so much that I haven’t wanted to post or haven’t had anything to post about. But my mind has, admittedly, been elsewhere. You see, since June, I’ve been working on setting up a record label. I don’t know if you’ve ever tried to start a record label, especially by yourself, but it sort of takes over your life. It’s one thing to threaten to start a label—something I’ve done periodically over the last few years—but actually doing it is quite the undertaking, especially if you’re the sort of person, like I am, whose mind tends to run off in about 15 different directions when it ought to be trying to figure out how to register a trademark. Now, this may not come as a surprise to many of you since I have, several times, alluded to it in not-so-subtle terms on Twitter. But the next part is news. The first 7” is on its way. The test pressings are due any day now. Once I’ve heard those, I’ll be able to be more specific about a release date, but for now, we’re aiming for some time in January. But now, I suppose you’ll also want to know what that 7” is going to be. Do you remember Possimiste, the absurdly talented 19-year-old Estonian folk pop composer I wrote about back in April? We’ve spent the last several months working on a little EP for you. And not just any EP, a storybook EP! You read that right. Some of you who are children of the ’80s will remember these. Not only will it include the newest single by Possimiste, but a new fairy tale, written and recorded (with musical accompaniment, of course!) to complement the new song, all packaged inside a companion picture book! It’s been a long, exciting (and sometimes terrifying) road getting to this point, but I’m so excited for you to hear the final product. I’ve listened to the song at least 200 times by this point, and I still love every second of it. I hope you will, too. And, at the risk of building your expectations too much, I’ll also mention one last thing. The single was (masterfully) mastered by producer/engineer/composer Valgeir Sigurðsson (Björk, Nico Muhly) at Greenhouse Studios in Reykjavik. Yeah, that’s right, Valgeir Sigurðsson. For now, here’s an old Possimiste song. Sometimes, it can be difficult to trace an artist’s origins. Sure, there’s always the old fallback that all music is descended from Pavement, but, in certain cases, it isn’t clear whether an artist has emerged from a vacuum or is the result of a synthesis of myriad influences. And then there’s Possimiste who, by all accounts, may as well be a girl with bat wings who lives in the forest (which is, in fact, exactly what her bio claims she is). What we can say about the nineteen-year-old Estonian (who has, thus far, seen fit to keep the details of her story a secret) is that she has one hell of an adventurous, if not altogether revolutionary, artistic vision. Materializing out of the same sort of nebulous origin pools characteristic of so many great Estonian musicians (e.g. Arvo Pärt; Erkki-Sven Tüür), Possimiste creates what are ostensibly ethereal pop songs that flutter just beyond the realm of identifiability. Seemingly equal parts Ólöf Arnalds, Islaja, and Emilie Simon (circa La March de l’empereur or Végétal), her music also evokes abrupt and appropriate mood changes worthy of Pärt’s Te Deum or the best of T.S. Eliot. But it is in her music videos where Possimiste’s vision really shines. Ranging from dark and brooding to delicately whimsical, they are works of exquisite beauty. The most recent video single “Clockworkbird” (below) or the earlier film “Behind the Seas” could just as easily be live-action editorials assembled from the pages of Lula Magazine as music videos. So, while I may as yet know next to nothing about the woman behind the music, I can say for certain that I haven’t been this excited about a new artist since the first time I heard Emilie Simon five years ago. My gut tells me Possimiste has a lot to offer us and I, for one, cannot wait to see where she goes from here. You can find links to free downloads of much of Possimiste’s music on her website. And then there’s this, a little preview and free mp3 from Jherek Bischoff’s (Parenthetical Girls, The Dead Science) upcoming debut Composed. The first single, “Young & Lovely”, features Bischoff’s long-time partner in pop Zac Pennington (Parenthetical Girls) and French chanteuse SoKo. A limited run of 7”s (500 in the US and 500 in the UK) will be released on Record Store Day next week (April 21) with B-side “Eyes” featuring the one and only David Byrne. We’ll cover the LP in greater detail as the late May/early June release dates (UK/US, respectively) approach. For now, you can refer to my review of the live performance as part of the Ecstatic Music Festival at Merkin Concert Hall back in February. And don’t forget to grab the free download of “Young & Lovely” from bandcamp or the embedded player below.